Medellín, Colombia, is a tale of two cities: a formal, consolidated city built along a river valley; and a densely populated informal city that grew among the surrounding hillsides. In 1991, Colombia’s second largest city was the most violent in the world. By connecting marginalized parts of the city to its safer, more established areas, Medellín’s government has transformed it into an inclusive metropolis. Public transportation entwined with social and physical interventions has brought the homicide rate down from a high of 381 to 26 homicides per 100,000 residents in 2007. Running twenty hours a day, elevated cable cars link remote informal settlements to the central metro system. What could take up to two hours on a crowded minibus now only takes seven minutes. 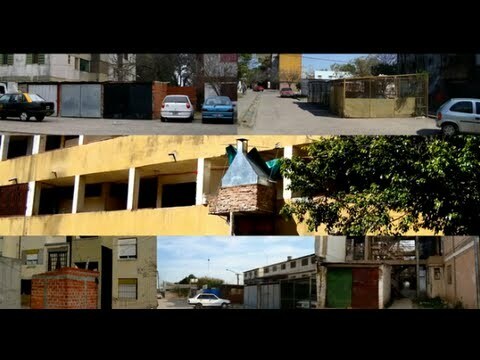 Integral Urban Projects (Proyectos Urbanos Integrales, or PUI) focused the city’s resources on specific locations characterized by poverty and social unrest with a grand vision of providing the best public buildings and transportation system for the poorest parts of the city. The first of four PUI, the project consolidated efforts for eleven Northeast neighborhoods and the construction of a 2-kilometer (1.2-mile) long Metrocable Line K reaching 170,000 residents. Barrio centers were redefined with the location of the cable pylons, adjacent public libraries and parks, and improved streetscapes. The first, Santa Domingo Library and Park, supports library services and created space for recreation and community events. Ten new public schools were built and another 130 were renovated. New pedestrian walkways and bridges unite neighborhoods previously ruled by rival gangs. There is now a greater sense of participation, and residents from the rest of the city visit Santa Domingo and other reclaimed neighborhoods for social outings.